Musical Theatre News: Camelot to replace Love Never Dies? Camelot to replace Love Never Dies? 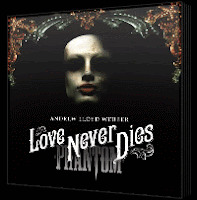 According to today’s Daily Mail Andrew Lloyd Webber is struggling to keep Love Never Dies running in the West End which is unlikely to recoup its costs. The musical cost £5.5M to stage and has returned about £1.3M to investors. The producers are not allowed to raise further funds to keep it running and the Really Useful Group been funding it for several months, cutting the running costs by £15,000 a week. It is currently booking to January 14th, with rumours at one stage that it was to close at the end of this summer. 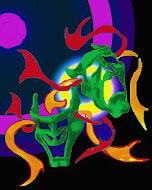 The Adelphi Theatre is jointly owned by Lloyd Webber’s Really Useful Group and the New York-based Nederlander Organisation who have been pushing for a proposed revival of Lerner & Lowe’s musical Camelot directed by David Leveaux and starring Robert Lindsay to take its place. A new version of Love Never Dies has been very well received in Australia and opens in Melbourne tomorrow. An executive involved in the London shows has said ‘There is no decision to close the show in London.’ If ALW does want to include the changes from this new production he would have to shut it again to reopen with new sets, costumes and cast. The current Phantom, Ramin Karimloo, is due to leave the show later this year on 3rd September. So Camelot is on hold for now … watch this space.